The Portavadie to Tarbert Loch Fyne ferry route connects Portavadie, a village on the west coast of the Cowal peninsula to the village of Tarbert in the West of Scotland. Both villages are in the in Argyll and Bute council area in the Scottish Highlands. The ferry route is operated by Caledonian MacBrayne - commonly known as CalMac. There are up to 12 crossings per day and the crossing time is approximately 25 minutes. This route accepts foot passengers and vehicles. 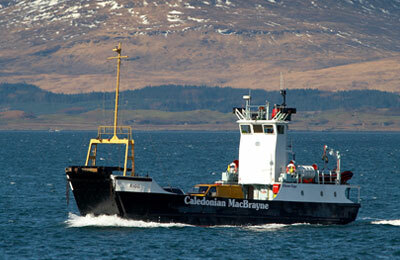 With AFerry we always give you our best prices for ferries from Portavadie to Tarbert Loch Fyne. No matter which page you book from we always include all our special offers. And there is no need to look for a discount code. If we have an offer available, your ferry price will include the reduction or offer. There's no need to look at other websites. If you're not sure if the Portavadie to Tarbert Loch Fyne route is right for you or you can't decide between ferry companies, if there is more than one, you might also find it useful to read any reviews we have available. We ask all our customers to send us reviews for Portavadie to Tarbert Loch Fyne ferries. Remember though, that the earlier you book, the cheaper prices normally are. So don't spend too long deciding! Portavadie to Tarbert Loch Fyne is a popular route, so we advise you to book as soon as possible. Tarbert is a small village at the head of East Loch Tarbert, an arm of the sea on the west shore of the mouth of Loch Fyne, Argyllshire, Scotland. The main feature of Tarbert is the harbour. This has a narrow entrance and is a safe and sheltered anchorage. The coast of the bay is rocky and the cliffs are fringed with young firs, Tarbert itself being a beautiful place. The parish church is located right in the centre. 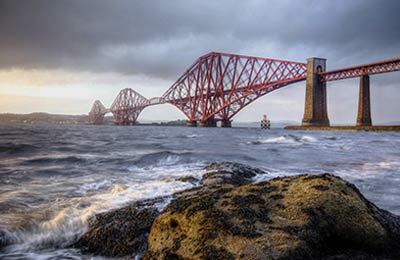 Overlooking the harbour are the ruins of a castle built by Robert Bruce in 1326. Book your ferry to Tarbert Loch Fyne from Portavadie or Lochranza simply and securely with AFerry.